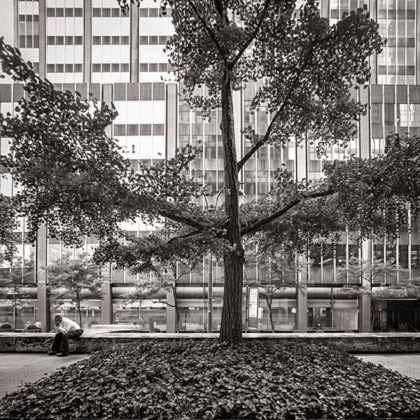 a Ginkgo tree, Park Avenue (originally known as Fourth Avenue) in New York City. Woody is taking one photo a day for the rest of his life and puts them on his blog. "170 million year old Ginkgo fossil and one from our car park." 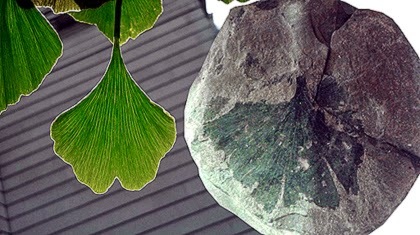 Jurassic Ginkgo fossil. 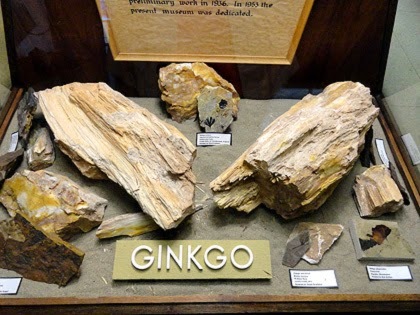 More Ginkgo fossil info and photos on my website: Fossils-page.